Play Doh Cranky the Octopus review: Under the sea Play Doh fun! Cranky the Octopus is a fun new ‘under the sea’ themed Play Doh set from Hasbro, and we received a set to test out! 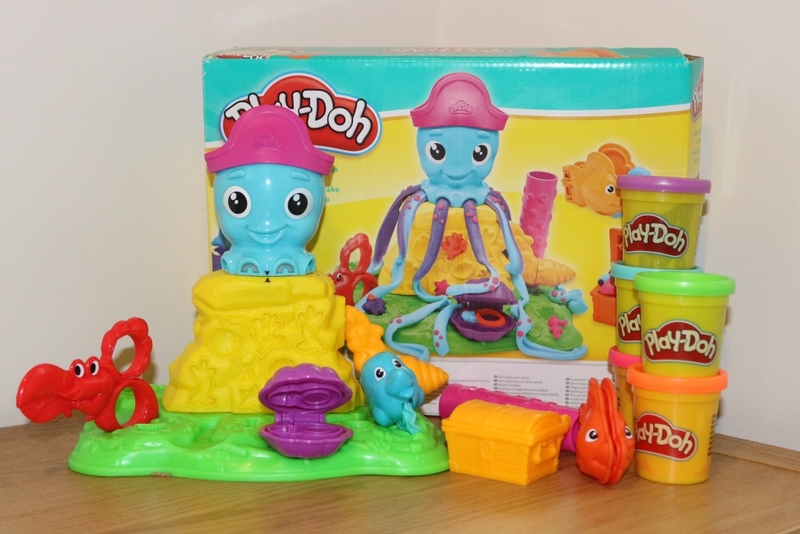 The kit comes with Cranky the Octopus, a base with built-in moulds, six sea-themed accessories as well as five small pots of Play Doh in bright colours. The Octopus twists anti-clockwise off of the base. 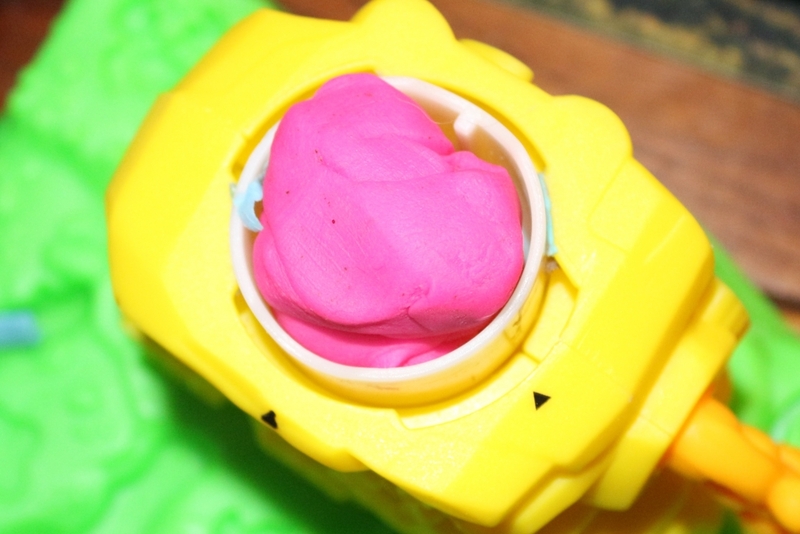 To operate it, you need to push the plate inside to the bottom with your finger or un-wind it using the crank, and then fill with a blob of Play Doh as seen in the picture below. Then place the octopus on (facing towards the crank), push down and and twist clockwise (using the arrows as guides) until it clicks into place. 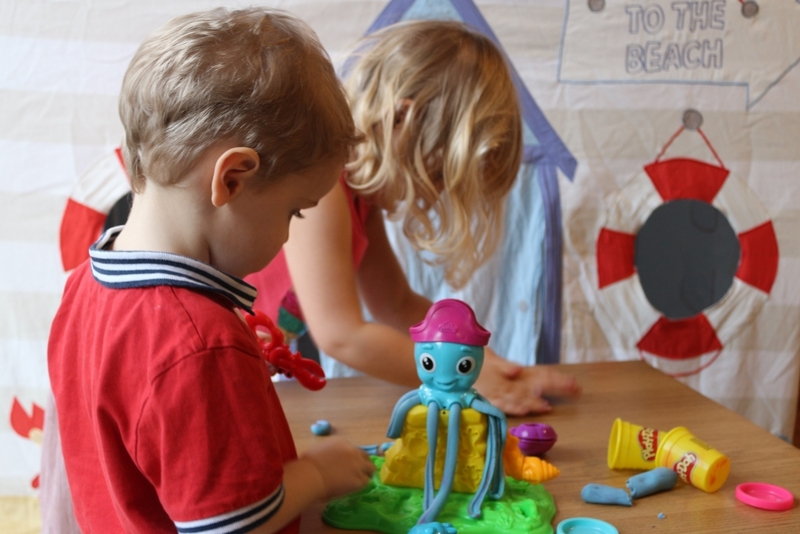 Note that this might be a bit difficult for younger children who will need a parent’s help to get the octopus into place and set up properly, so although the recommended age is 3+ this isn’t really an activity they can entertain themselves with for long without parental input. It’s still a lot of fun though. Play Doh and octopus in place, you then then crank the arm clockwise and Cranky the Octopus grows long Play Doh legs! If you don’t mind mixing the colours (urgh) then putting layers of different colours inside the octopus gives him really fun colourful tentacles. Also included in the box are six sea-themed Play Doh accessories. Namely; a pair lobster scissors (which the kids used to snip Cranky’s legs – no wonder he’s cranky), a treasure-chest which is also a mould to make coins, a clam shell ring mould, a fish mould, a dolphin cutter and a coral-textured rolling pin. All of the accessories are easy to use and although the moulds obviously don’t come out as perfectly as the box, they are still fun to use. There are additional moulds on the octopus’s base. We really enjoyed playing with the Cranky the Octopus Play Doh set and I am sure it will come out regularly. Well, as regularly as I can face it. Not every day is a Play Doh day in this house! 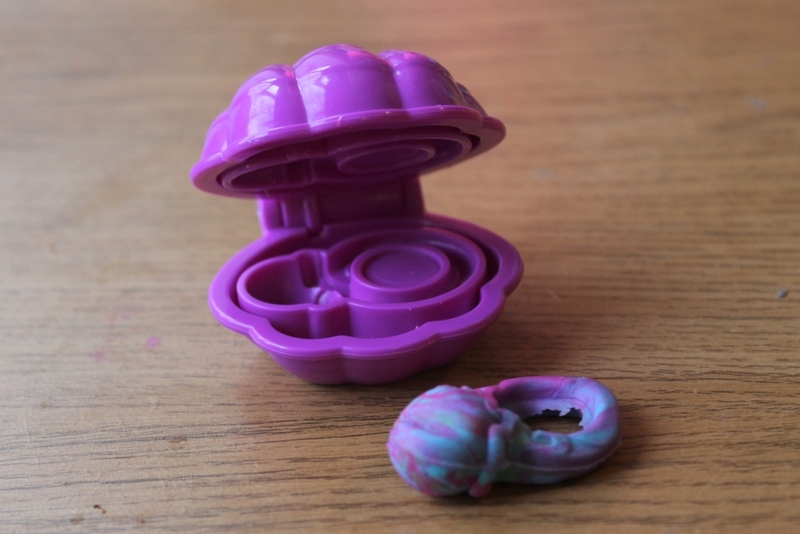 However, if asked to choose I think my children would probably say that they prefer the Play Doh Creations Sizzlin Stovetop which we reviewed back in November. To them, Play Doh will always be used first and foremost to make biscuits which they can serve to me for lunch. I’m very lucky. Priced at around £16.99, you can find the Cranky the Octopus Play Doh kit in most good toy shops or at Amazon using the affiliate link below. 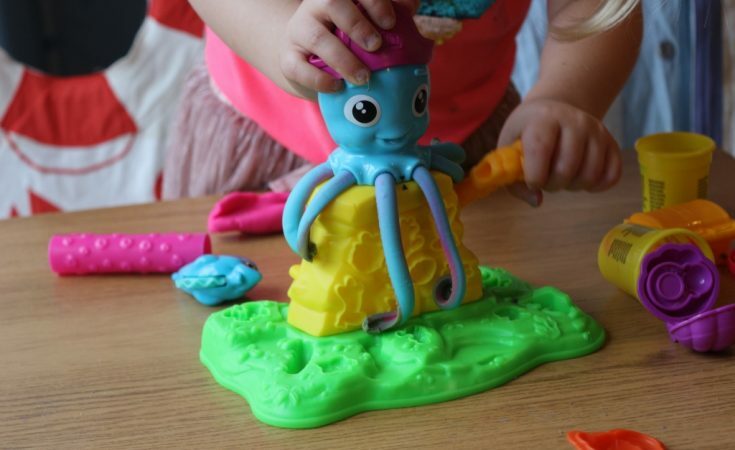 We were sent Cranky the Octopus Play Doh sea play set to review as part of the Hasbro Toy Tribe. All pictures and words are my own. You can follow Hasbro Toys on Twitter for updates. OMG of course they snip his legs! Small children are terrifyingly gruesome aren’t they!! Mine loves a bit of play doh, especially squashing and snipping anything she’s lovingly made haha!